Who is Lifestyle DME Group? of patients and practitioners throughout the States of Indiana and Texas. Lifestyle DME Group is also Medicare-accredited to provide its services nationwide. Your expert DME supplier for pain management, wound care and chronic health conditions. Lifestyle supplies high-quality products from the industry-leading manufacturers. During the past fifty years, Nueromuscular Electrical Stimulation (EMS) and Transcutaneous Electrical Nerve Stimulation (TENS) modalities have been the subject of on-and-off academic study and clinical application. However, within the past decade, the medical community has intensified its efforts to identify NON-INVASIVE and opioid-sparing interventions that target and REDUCE chronic and acute pain. 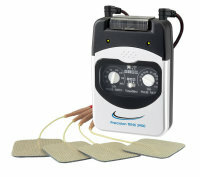 EMS and TENS have surged in popularity as a result. Conductive Garments are an exciting newer invention. 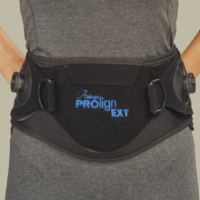 When used with an EMS or TENS unit, these comfortable garments precisely target the painful body area. Because of their ease of use and comfort, patients will enjoy wearing them at home or in a clinic. Adjustable garments are available for several bodily areas/parts . Lifestyle provides garments made of material that enhances conductivity and comfort. These garments are single-sized but fully adjustable. Custom fitting is also an option. Lifestyle is a leader in the use of orthotics as an opioid-sparing pain-management modality. Lifestyle's knowledge and understanding of orthotics extends far beyond that of the typical DME supplier. Lifestyle closely follows the latest journal research and literature on orthotics. Additionally, Lifestyle remains in close contact with leading orthotic manufacturers regarding new and innovative orthotic offerings. Patients and providers agree that Lifestyle is a valued orthotic partner in the pain-management process. The lymphedema pump (officially called a "pneumatic compression device") is a treatment that removes excess lymphatic fluid from an affected limb or body part and returns the fluid to its home in the body's cardiovascular system. Physicians often use lymphedema pumps as a preferred approach toward sending the excess fluid back home where it belongs, rather than allowing the fluid to pool in the legs or arms. 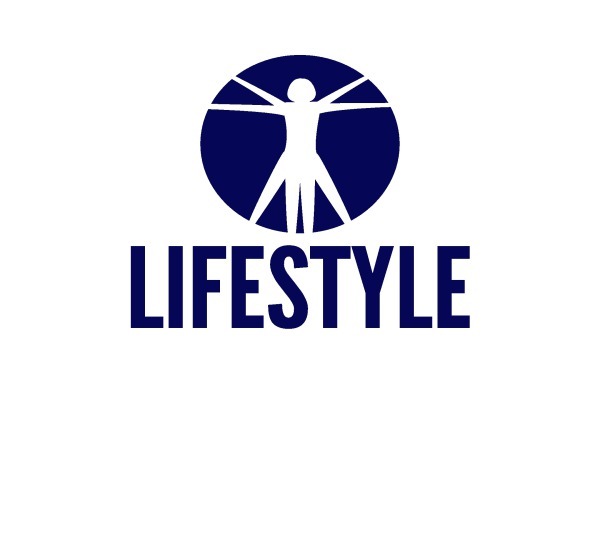 Lifestyle provides all appropriate, high-quality pumps and correspondin garments. Lifestyle takes pride in its devotion to patient education. Lifestyle shows the patient how to use the pump, checks-in with the patient afterward, and remains available for questions as they arise. Lifestyle has a popular diabetic shoe fitting program. Lifestyle supplies only high-quality shoes in a variety of styles for women and men. Gone are the days when diabetic shoes were boring and heavy. 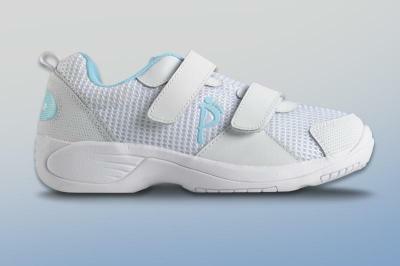 Today's diabetic shoes are light and breathable. Lifestyle also supplies the appropriate diabetic inserts/insoles which are placed in the shoe to conform to the diabetic's feet and to reduce rubbing and chafing. All shoes are fitted to the patient's feet, so they feel as good as they look. Under federal law, diabetic Medicare patients are entitled to one pair of shoes, with diabetic inserts, per year. Lifestyle takes great pride in supplying comfortable Medicare-qualifying diabetic shoes and insoles. 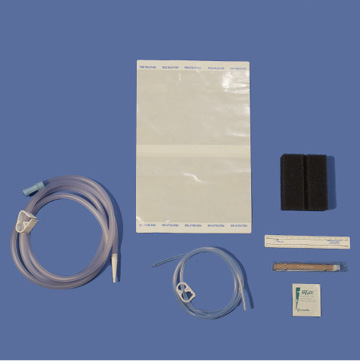 Lifestyle supplies excellent wound care products, ranging from Negative Pressure Wound Therapy (NPWT) devices to primary and secondary dressings. Lifestyle has substantial experience working with home health agencies. Lifestyle's expertise as a home health supplier enables us to anticipate the clinical needs of wound care nursing personnel. Without a doubt, wound care nurses have outstanding experience, skill, and judgment regarding the wound healing process. We like to call them "wound whispers" because they are have such advanced insight into wound healing. Lifestyle is proud to serve as a valued partner to fulfill the equipment and supply needs of home health nurses. Lifestyle accepts numerous insurance plans and programs, including traditional Medicare B, federal and state Workers Compensation coverage, many PPO plans, and a variety of HMO plans. Lifestyle is one of only a few DME suppliers that is in-network with the Texas Blue Cross Blue Shield PPO and HMO plans. Lifestyle is also among the elite group of national DME providers that is approved by the United States Department of Labor to supply DME to injured federal workers. Lifestyle offers convenience to patients and to their healthcare providers. We are here to help in the patient recovery process. Unlike the typical DME supplier, Lifestyle goes to the patient. We are committed to supplying our products to patients in a comfortable and convenient setting. Thus, Lifestyle provides no-cost delivery to the healthcare provider's facility or directly to the patient's home. We take the time necessary to educate the patient on proper product use. We also ensure that the patient is comfortable using the product. We do not rush.